The world is changing – apologies if that is stating the obvious. 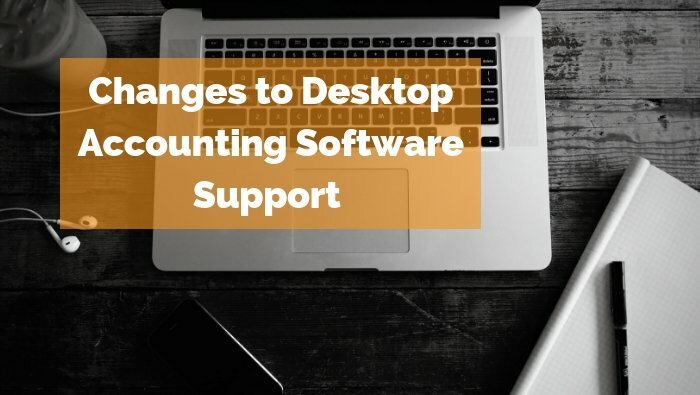 There has been a gradual move over the past 10 years to hosting accounting software online, rather than on a local computer or network. This has many advantages in terms of access and collaboration as well as new features such as bank feeds and the ability to store documents alongside their related transactions. To stay in front of our industry, we started transitioning our own app, Calxa, to an online platform more than three years ago. We’ve found that the vast majority of our new customers now use online software (including hybrid systems like MYOB AccountRight Live). So, it’s no surprise that we have had to change how we support locally-stored accounting data. If you’re currently considering Calxa for your management reporting, you’ll now need to have either Xero, QuickBooks Online, MYOB Essentials or MYOB AccountRight Live (with your data online) to connect to Calxa. If you’re an existing Calxa customer, nothing changes in the short term, but before 2020 you will need to make some choices depending on where your accounting data is stored currently. You are in the sweet spot. You don’t need to do anything (except possibly automate updates from your accounting data into Calxa) and you’ll get all the benefits of the new features we’re planning for 2019 and beyond. Currently you need to use the desktop application to update from your accounting system into Calxa. We will be removing this functionality from the Calxa desktop application from 1 January 2020 – so you need to make some decisions in the next 12 months. There’s no need to panic but we know that some changes, especially to your accounting software, need careful planning. If you’re using MYOB AccountRight and your data is in a local or network library, simply move it online. Then re-connect Calxa to your MYOB data in the new location and you can carry on as before. If you’re using MYOB Classic (the Premier 19 range), you’ll be aware that MYOB are discontinuing support for this product in 2019. Your simplest solution is to upgrade to MYOB AccountRight Live (this will retain all your history). There are a few steps to manage the change in Calxa but they’re all clearly documented. If you’re using Reckon Accounts, we recommend you consider changing your accounting software to something that is online. QuickBooks Online is probably closest in functionality and terminology but you could also consider MYOB AccountRight Live or Xero (possibly with some add-ons if the core functionality isn’t sufficient). Contact us if you want us to put you in touch with one of our partners who can provide advice on this move. It makes sense for you to move your Calxa data online and the help note explains the simple process for doing that. Then re-connect to your accounting data and you’ll be up and running in no time – with all the benefits of easier access, all the new reports and features and scheduled updates from your accounts. There’s no compulsion for you to do anything. Your system will continue to work as it is now well into the future. However, you’re missing out on the benefits of having all of your data online. We’d recommend that sometime soon you consider upgrading your accounting system to something that puts your data in the cloud and then moving your Calxa data online. Access to all the new features we’re planning to add to Calxa in 2019 and beyond. If you’re not sure of your current situation or need some advice on the next steps, contact our Customer Support team in the first instance.